Sunshine, blue seas, palm trees and the ocean breeze – Florida’s got the weather to put a traveler at ease. Postcards paint a beautiful picture of the Sunshine State. Absent from the postcards are the damaging effects of Florida’s hot, humid climate on your asphalt. With close to fifty inches of annual rainfall and summer temps that hover in the nineties, Tampa is not immune to the effects of Florida’s extreme climate. 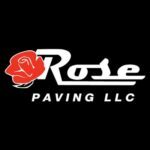 Rose Paving is the premium paving contractor in Tampa, and we aim to help you defend your asphalt from the effects of Tampa’s extreme temperatures and rainy season. According to U.S. Climate Data, Tampa receives nearly fifty inches of rainfall each year. To put it into perspective, that’s enough rain to flood 8 square miles with over an inch of water. Moisture spells bad news for any structural project, including asphalt. Asphalt is porous and absorbs moisture, therefore the longer water sits on an asphalt surface, the more damage it can do to your driveway or parking lot. Whether it comes from rainfall, a flood, or a broken utility pipe, water damage will erode your asphalt with the same force it used to carve the Grand Canyon. Therefore asphalt surfaces are engineered to sweep away water to sewers and catch basins. Building materials and techniques have improved over the years, but no material can withstand persistent moisture forever. Thankfully, with regular maintenance, and some expert advice from Rose Paving you can keep your asphalt strong, and looking like new for as long as you own the property. Tampa is notoriously sunny, and hot, which means your asphalt is more susceptible to cracking, fading, stress fractures, and soft spots than in cooler climates. Persistent high temperatures can cause the surface of your asphalt to heat up faster than the lower portions. The fluctuation can cause the rigid asphalt slab to curl, similar to bacon cooking in a pan. This leads to stress fractures along the surface, and tensile stresses in the bottom portion of the slab. Tip: During the high-temperature summer months your driveway could use a good drink. Splash it with the hose when you water your plants to cool off the surface and stave off stress fractures. Heat is not the only concern in the high-temperature summer months. UV rays are damaging to just about everything, including your asphalt. UV rays increase the rate of asphalt surface deterioration like soft spots and small waves across the surface. UV rays and daily use can also weaken the bonds of the oils and components in the asphalt structure causing the rich black color of new asphalt to fade to a dull gray. The best way to protect your asphalt from high heat and UV rays is by sealcoating cracks as soon as possible, and regular preventive maintenance. Regardless if it’s moisture, heat, or UV rays, your asphalt is feeling the effects of Tampa’s extreme temperatures and rainy season. Therefore it is important to the life and health of your asphalt to perform regular preventive maintenance. Sealcoating provides resistance to oil and gas spills and halts the spread of stress fractures thereby improving the aesthetics of the asphalt surface, and prolonging the life of the entire asphalt structure. Storm basins collect water draining from the asphalt surface. If cracked, sunken, or improperly installed a storm basin can drain onto your asphalt or even flood your entire street. Heavy rain can shift the earth surrounding a storm basin, which means it’s fairly common for storm basins to need adjustment just before rainy season is the best time to check your storm basin for cracks and damage. If you notice cracks in your storm basin or water accumulation in places it shouldn’t be it’s time to call Rose Paving. Call us right away (Hillsborough county: (813) 226-6686; Pinellas county: (727) 209-6686). Hurricane flooding is bad enough, but it’s worse without a functioning storm basin. Not to be confused with sealcoating, cracksealing is the first line of defense against pavement deterioration. Cracksealing increases the lifespan of your pavement by preventing the accumulation of water, and debris within the cracks in your asphalt surface. To prolong the life of your asphalt and keep it looking new you need to defend it from the effects of Tampa’s extreme weather. 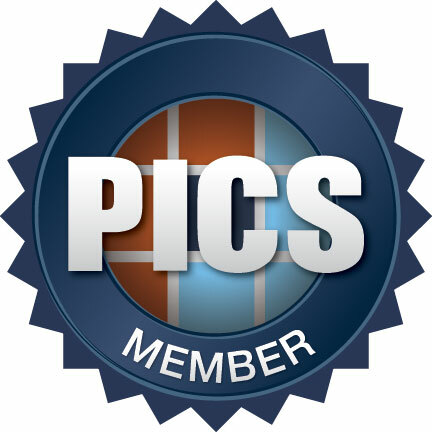 Rose Paving is the premium paving contractor in Tampa and your asphalts best line of defense against Florida’s damaging climate. From large corporate projects to basic maintenance, and repair, we offer only the highest quality custom paving solutions to clients all over the Tampa metro area. Our professional salespeople and expert technical staff are on call and ready to tackle your paving projects, and provide you with a seamless client experience. Contact us today to defend your asphalt from the effects of Tampa’s extreme weather.